Rhode Island workers' compensation rates continue to increase in 2019. Rates on Workers' Compensation Insurance in the Rhode Island are 7 percent higher than the national average, making it the 20th most expensive state in the country to purchase coverage. With rates higher than most states it is very important to ensure your business is taking advantage of every credit and discount option available to get the best value for your workers comp coverage. At Workers Compensation Shop.com we utilize a group of more than 35 insurance companies to shop the best rates in the industry. We also offer flexible payment options like Pay as You Go Workers' Compensation to help your business get maximized cash flow for your work comp coverage. Start a quote online in minutes or call one of our work comp expert's at 888-611-7467. The workers' compensation rates listed below for Rhode Island represent the current insurance rates effective 3/1/2019. Rhode Island rates are set by the Division of Workers' Compensation. Insurance companies may be able to offer discounts and premium credits on coverage. We offer Pay As You Go work comp insurance in the state. Not all employers will qualify for the lowest rates available or maximum policy credits, but we will help your business get the vesy best deal on workers comp coverage. Rhode Island workers comp rates vary by industry classification codes and insurance company underwriting standards. Employers' who have an Experience Modification Factor (XMOD) assigned to their business may have additional credits or debits applied to their insurance rates based on prior premiums and workers compensation losses. 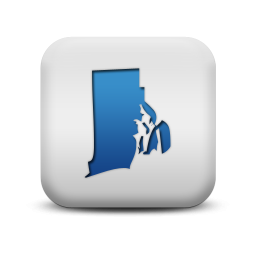 Beacon Mutual Insurance Company administers the State Fund program in Rhode Island. Employer who can't find coverage from a private carrier can purchase a policy from Beacon. Find more quotes today or shop for multiple state coverage with a national insurance firm. Rhode Island is under the Jurisdiction of the National Council for Compensation Insurance (NCCI) and contracts with Travelers as the state fund carrier. Our agency can help employers find guaranteed state fund coverage in RI. If we can't find coverage with a private insurance provider we can help buy a state fund policy. QURIIFY FOR LOWER WORKERS COMP RATES. 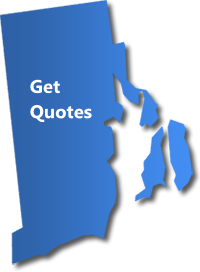 We will shop your policy with our RI carriers. At Workers Compensation Shop.com we think trust is an important. That is why we have worked long and hard to earn an A+ rating from the Better Business Bureau. We want you to have confidence that our business practices are the best. Give one of our Rhode Island workers compensation specialists a call today at 888-611-7467 to see if your business qualifies for lower workers compensation insurance rates.